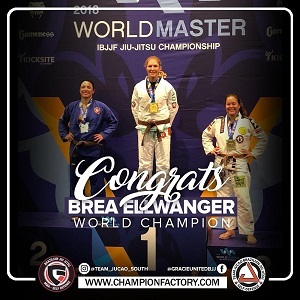 Congrats Brea Ellwanger on the World Championship! 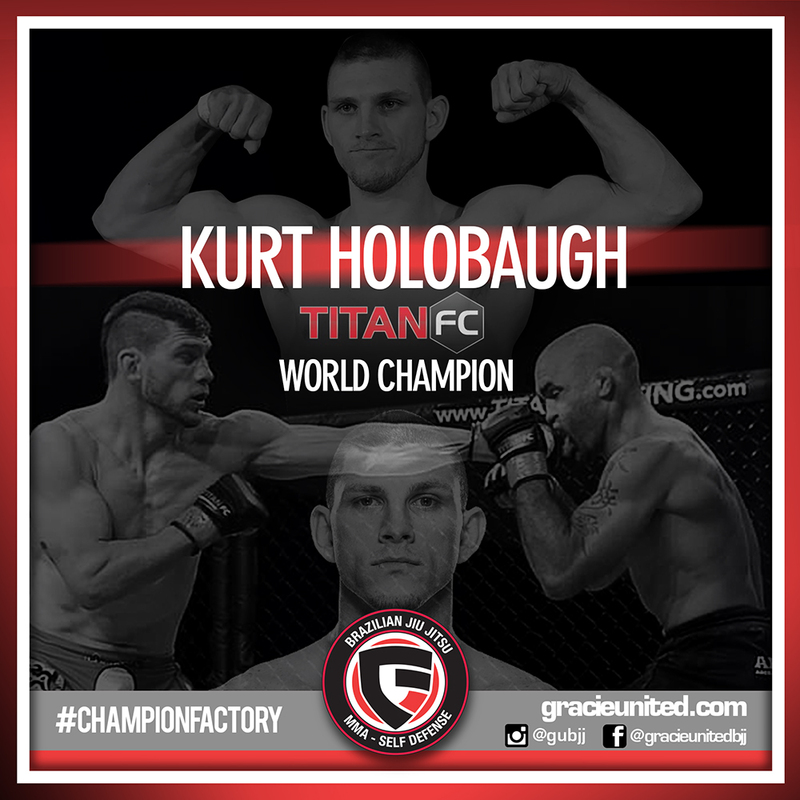 Congrats Kurt Holobaugh on the World Championship! 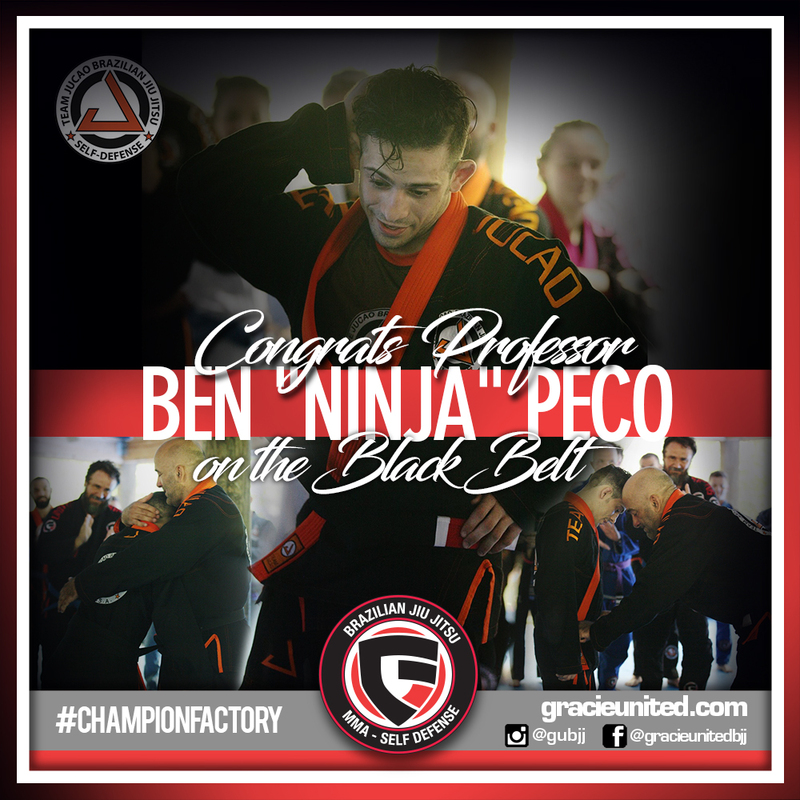 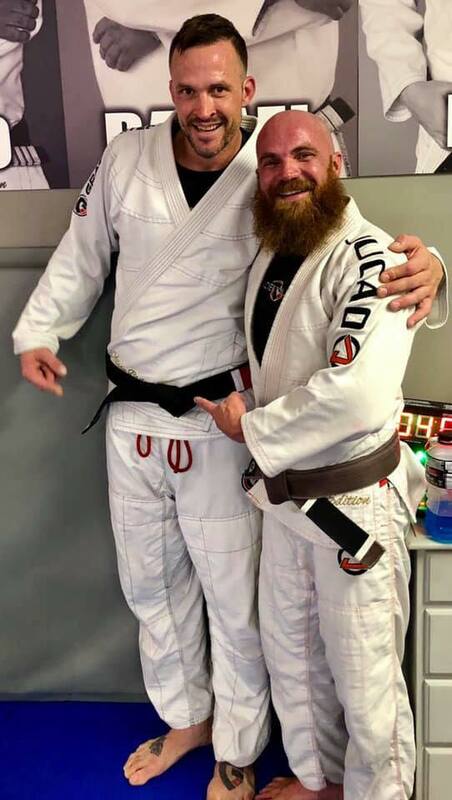 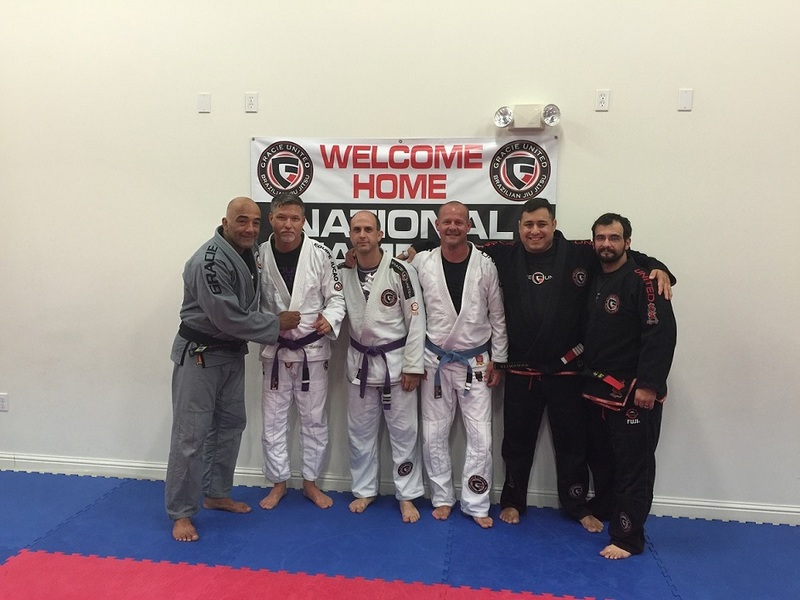 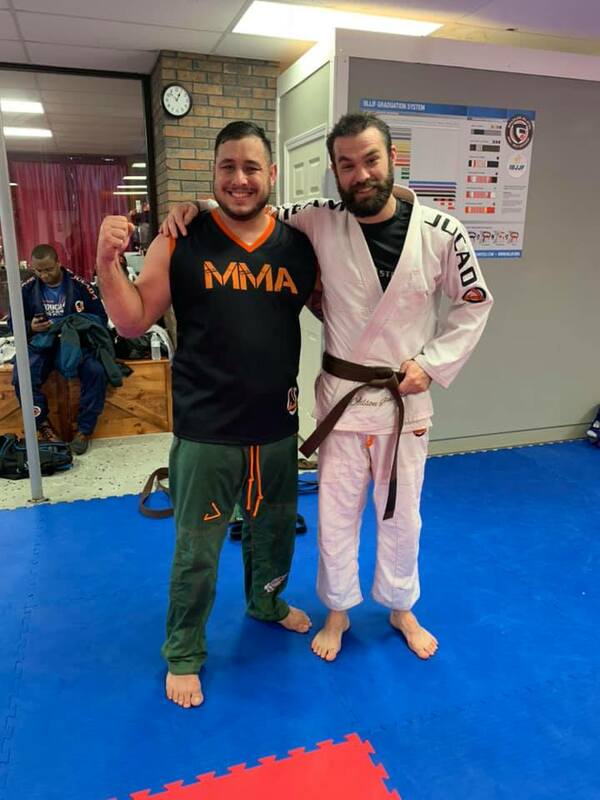 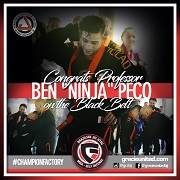 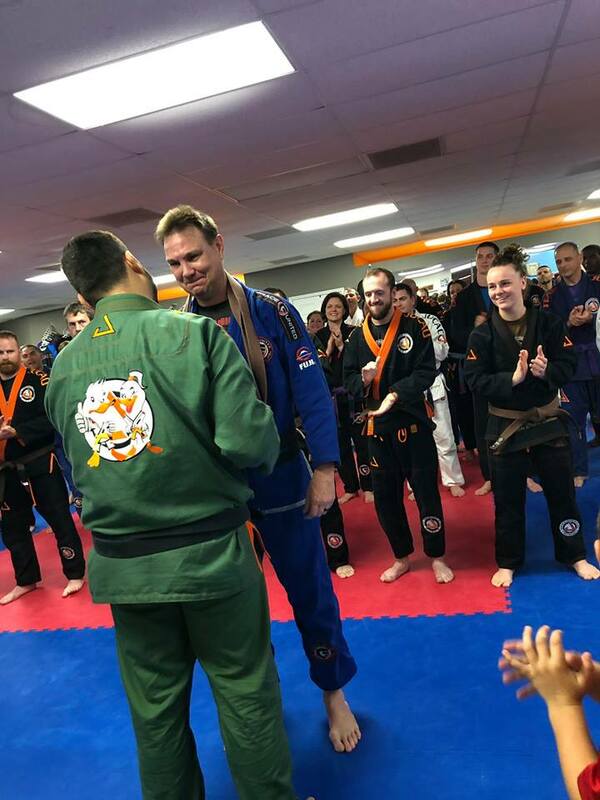 Ben "Ninja" Peco - New Black Belt, Congrats! 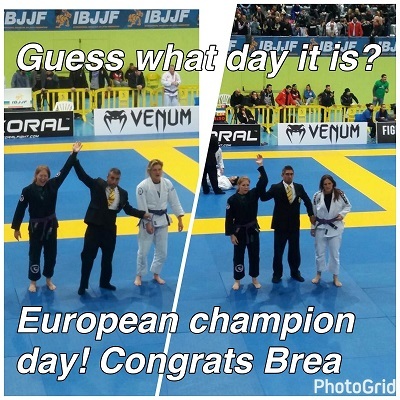 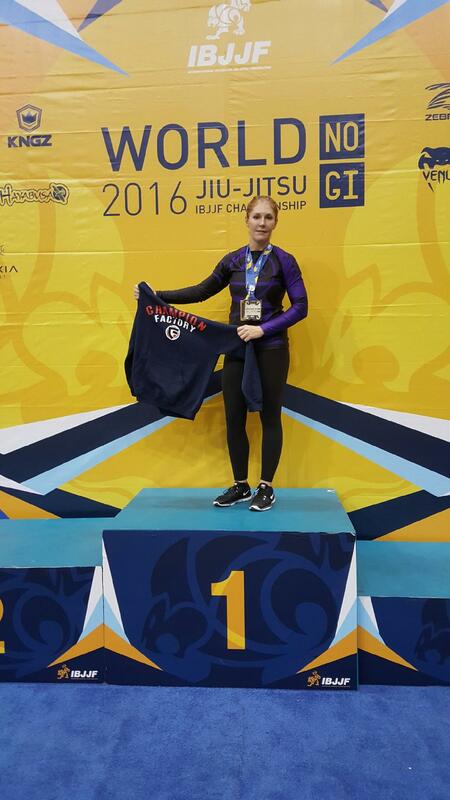 Congratulations Brea Ellwanger - 2017 European Jiu Jitsu Champion! 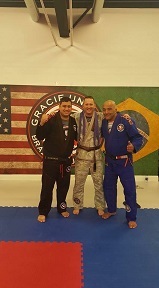 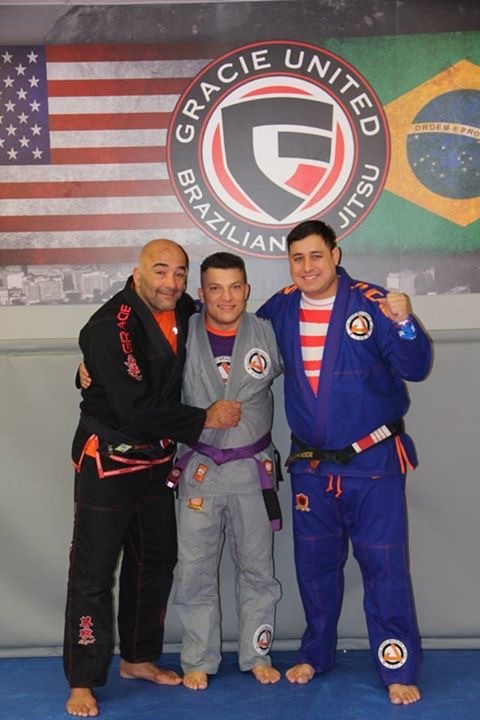 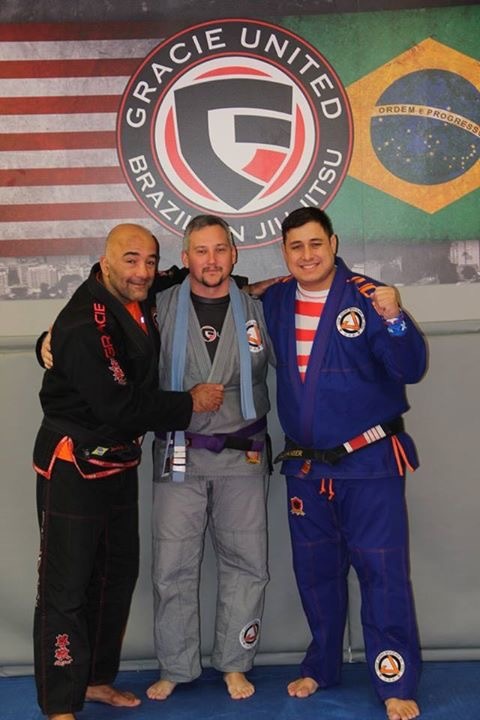 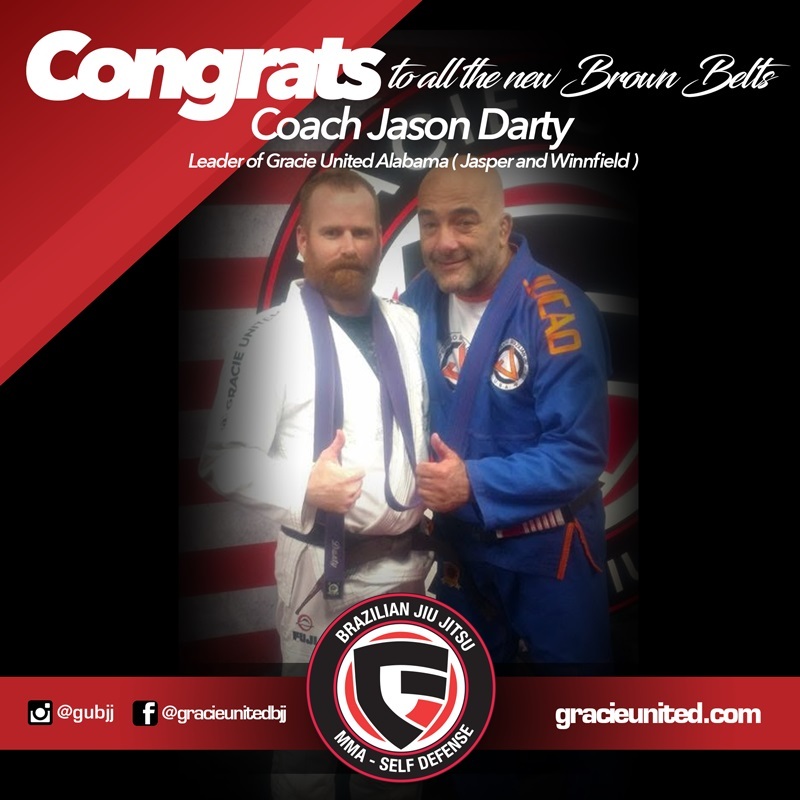 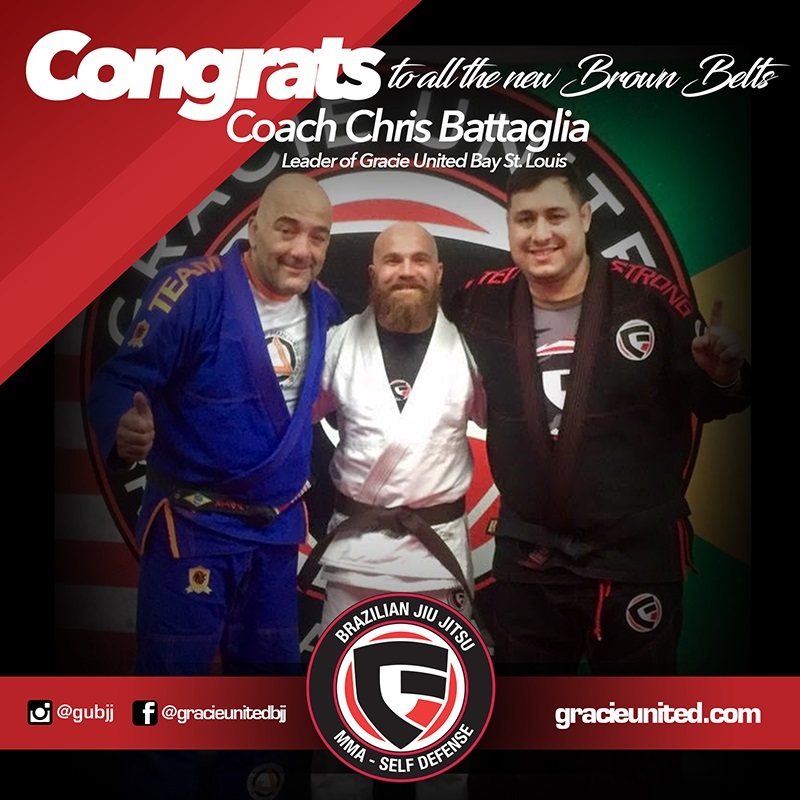 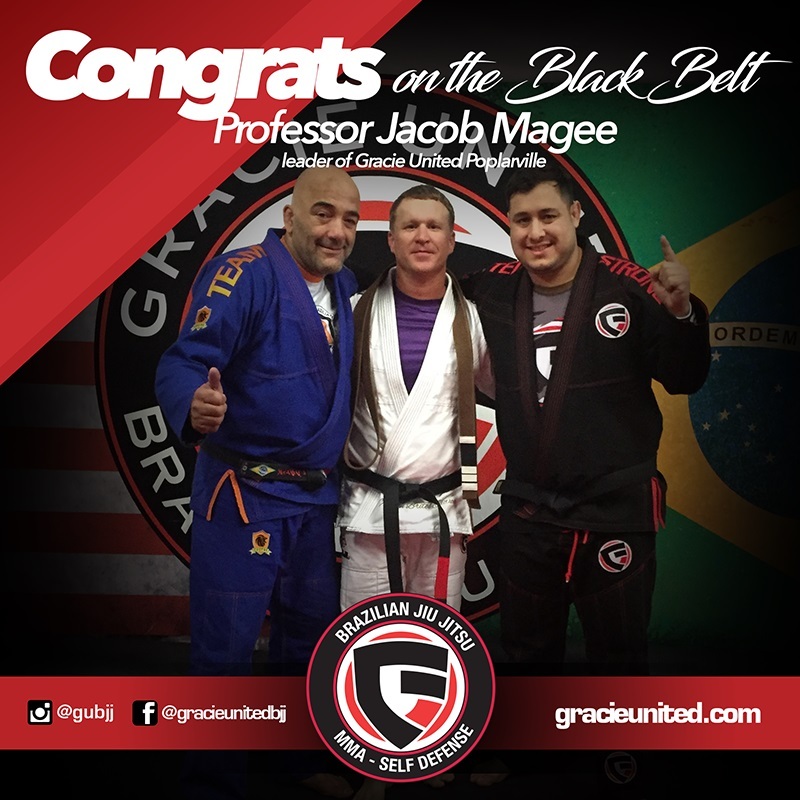 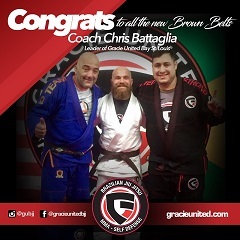 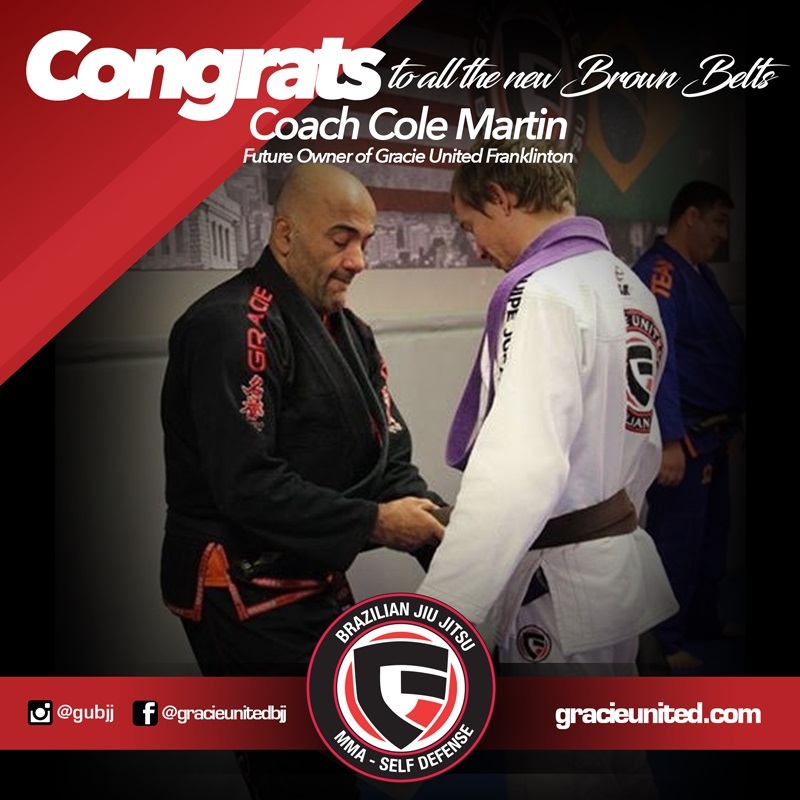 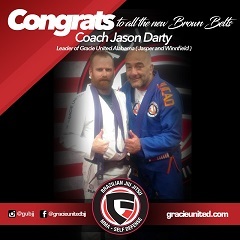 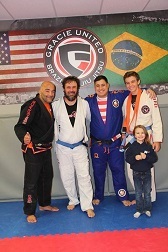 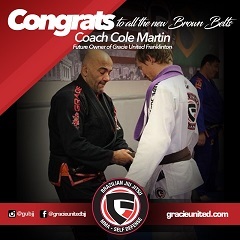 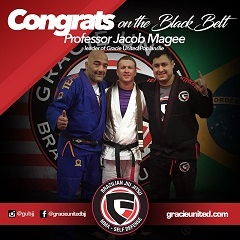 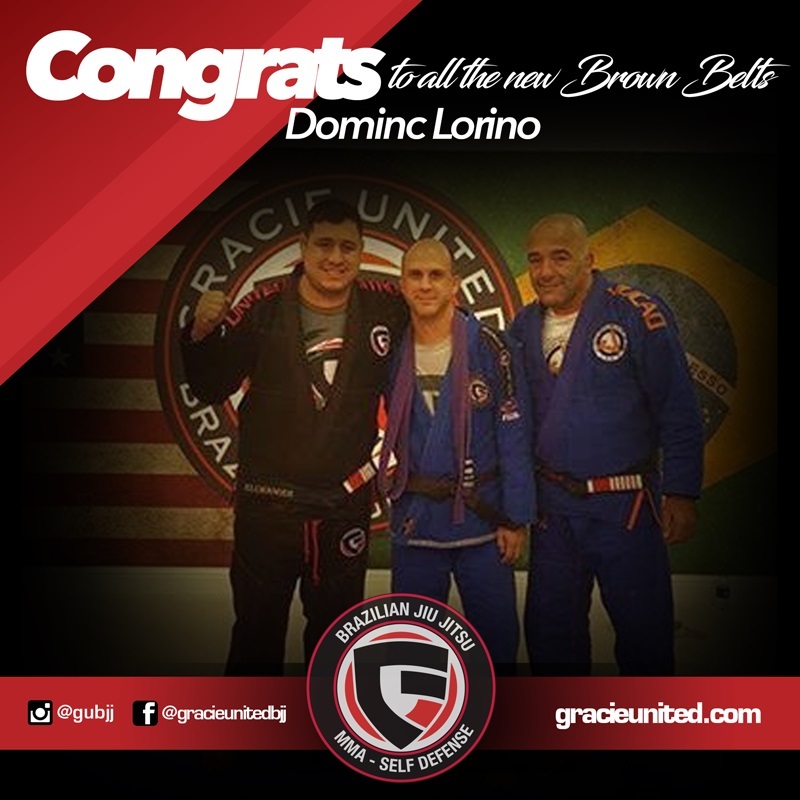 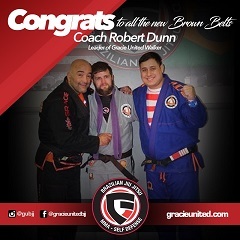 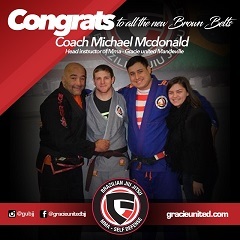 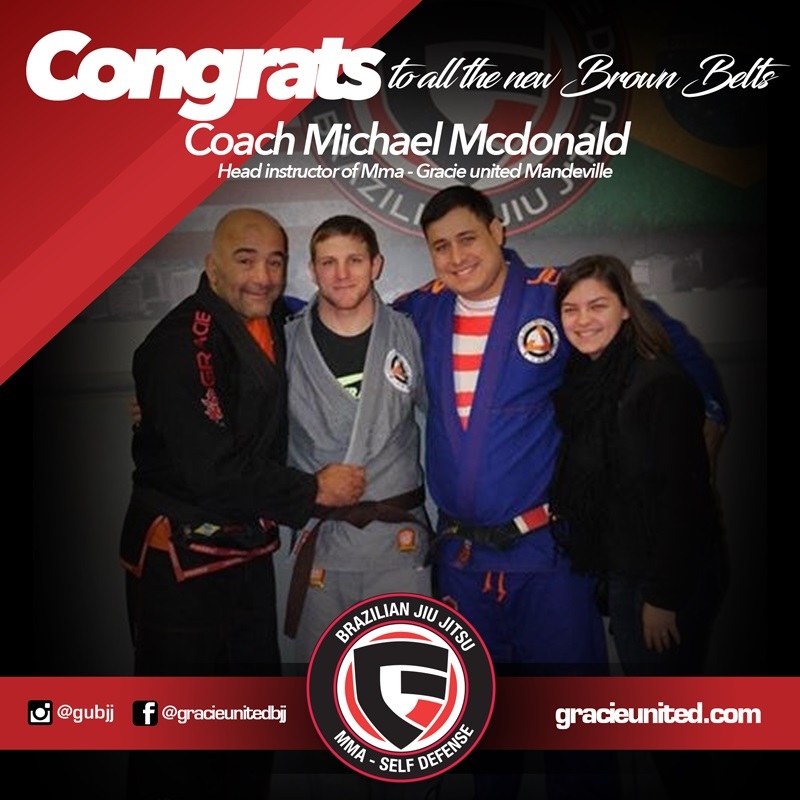 Congratulations to the coaches and the professors at Gracie United on the promotions. 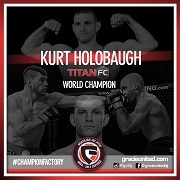 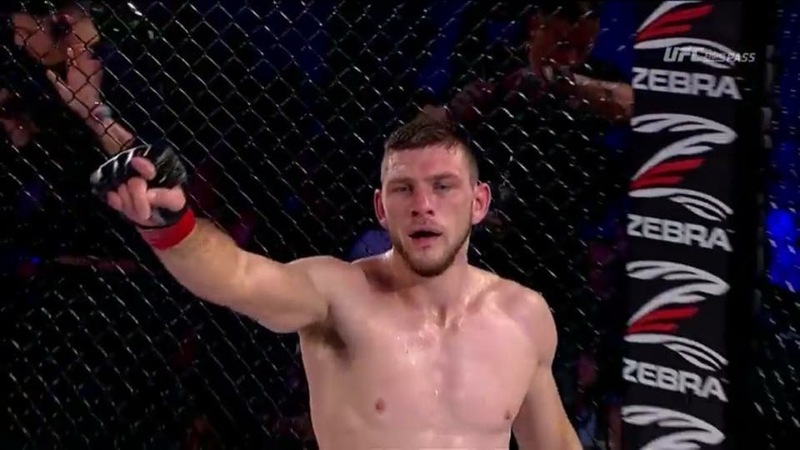 Congrats Kurt Holobaugh on the submission win!!! 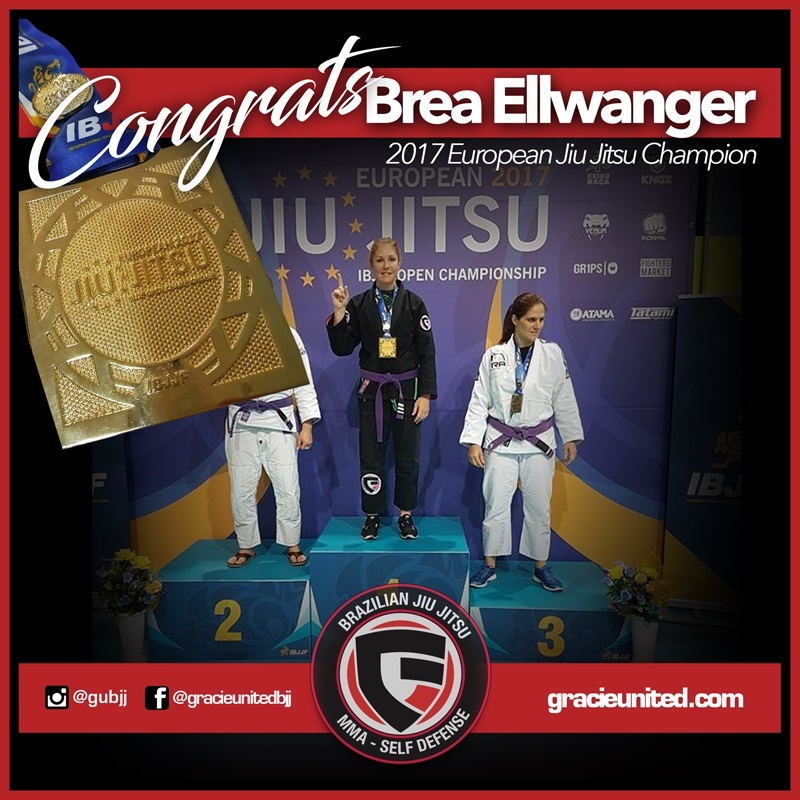 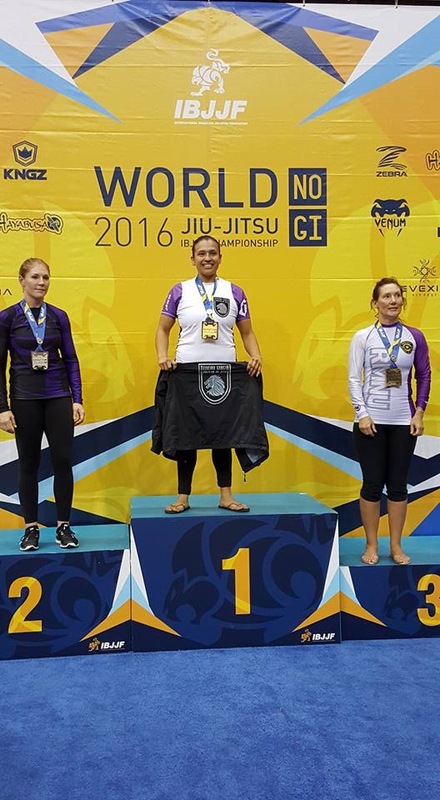 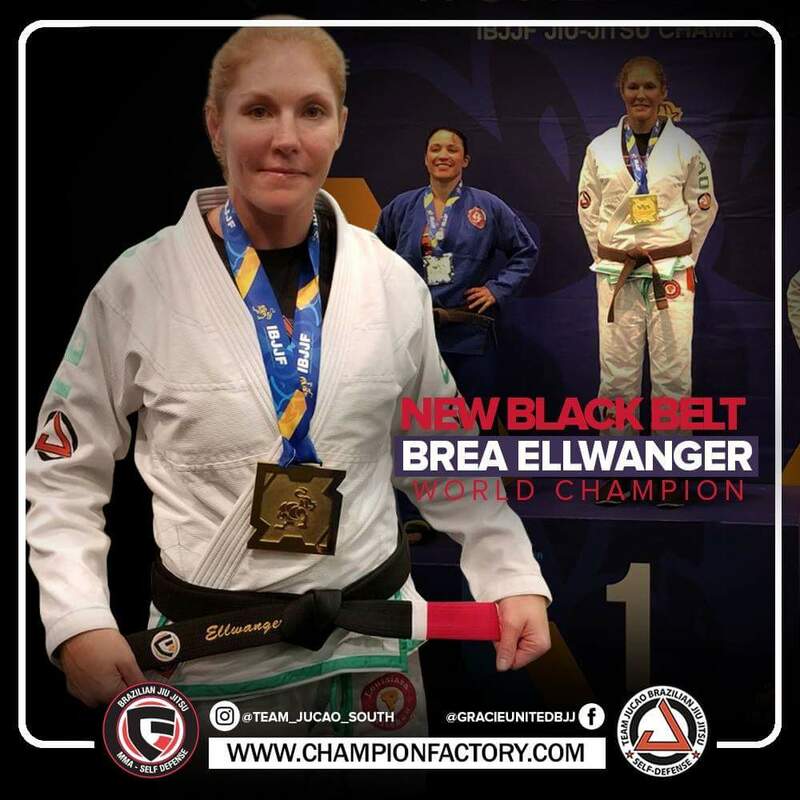 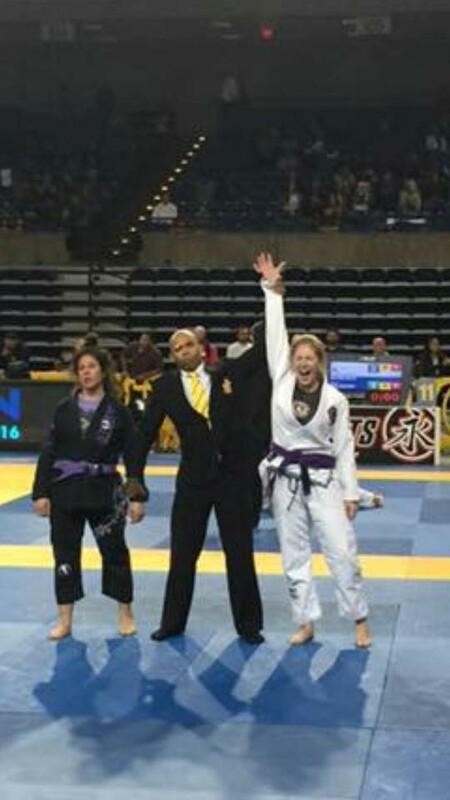 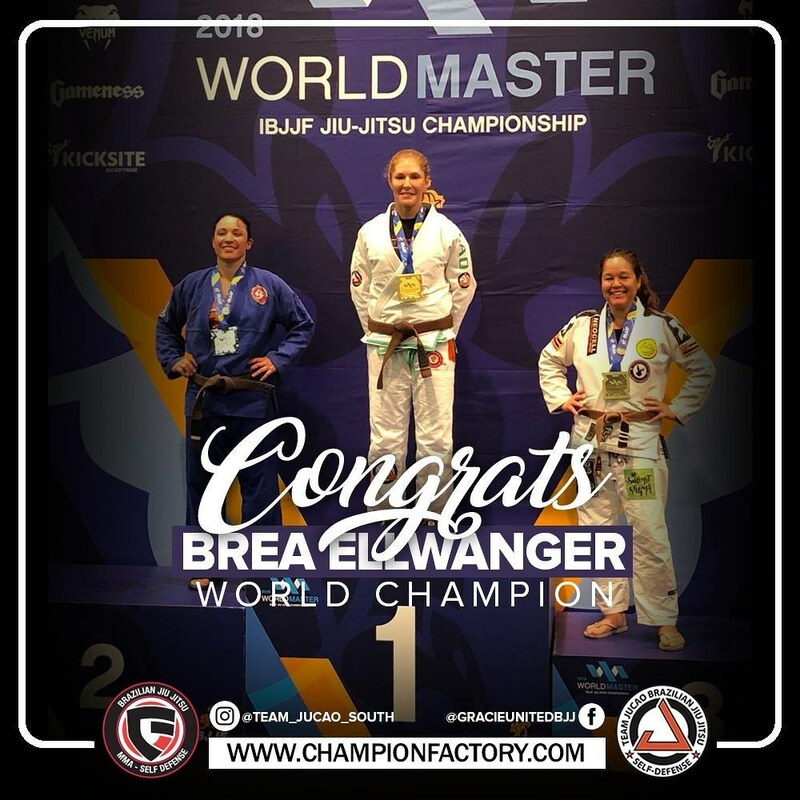 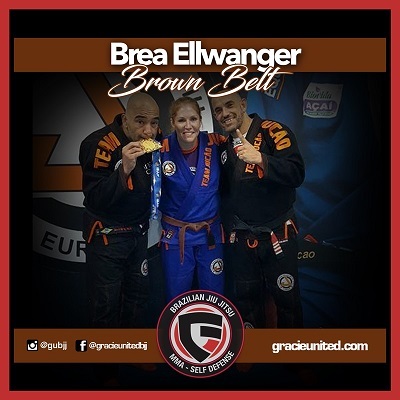 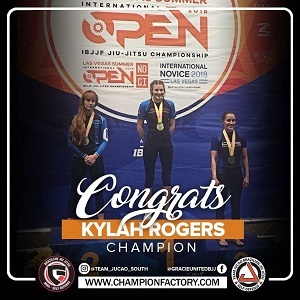 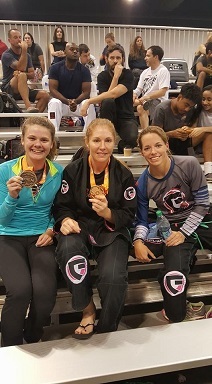 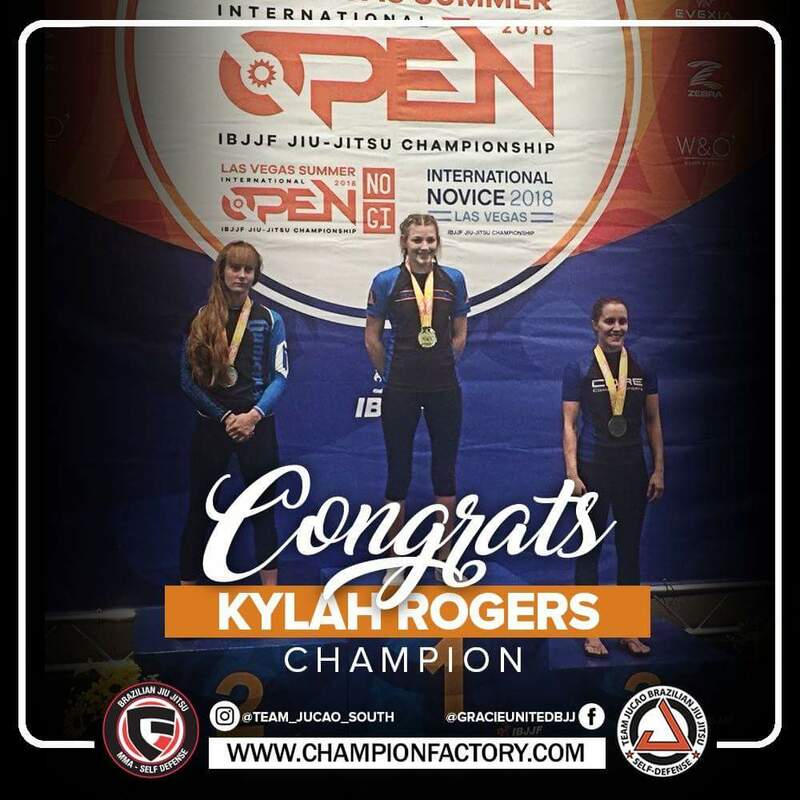 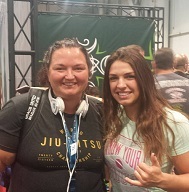 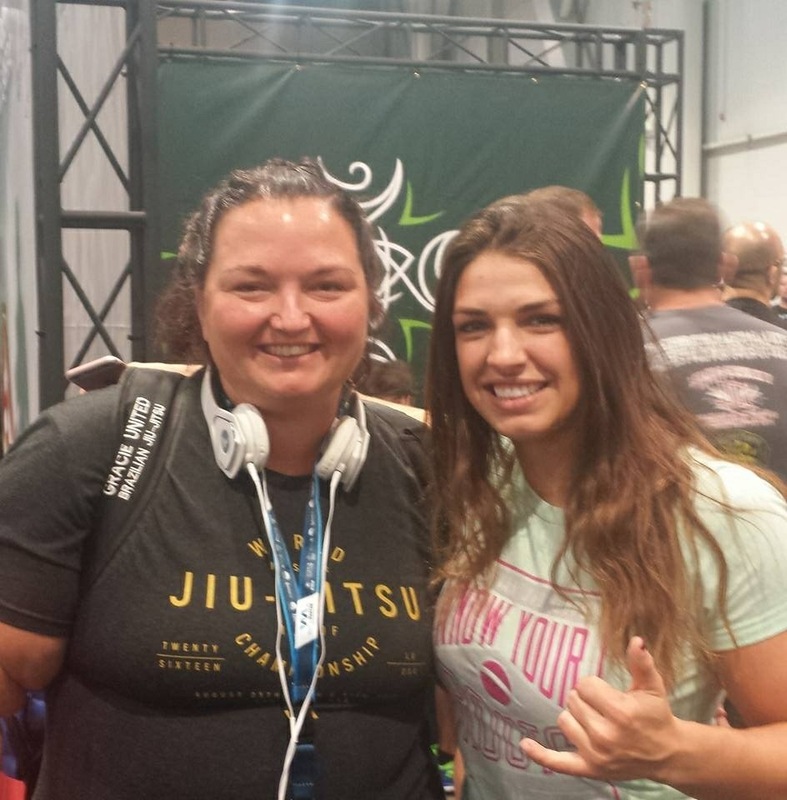 Gracie United congratulates Coach Brea Ellwanger on the silver and the bronze medal at the IBJJF World Championship in San Francisco. 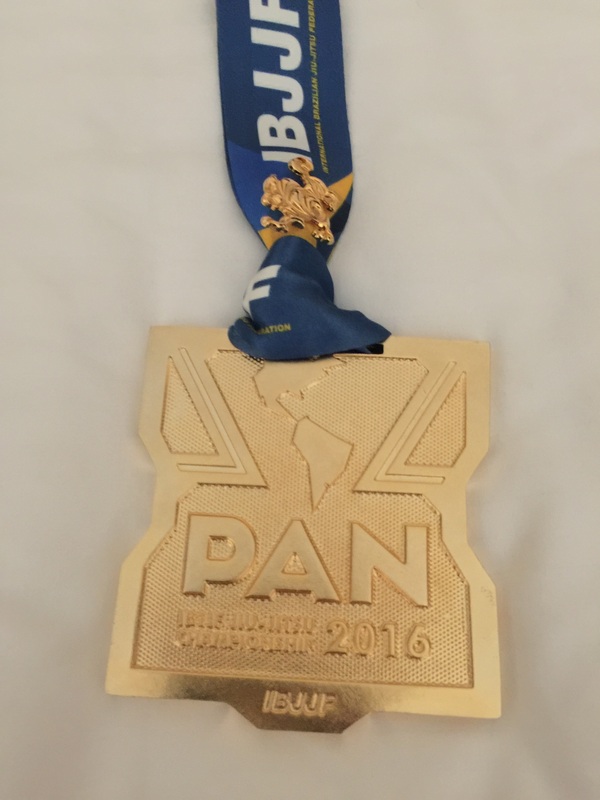 This is Coach Brea's 5th world medal. 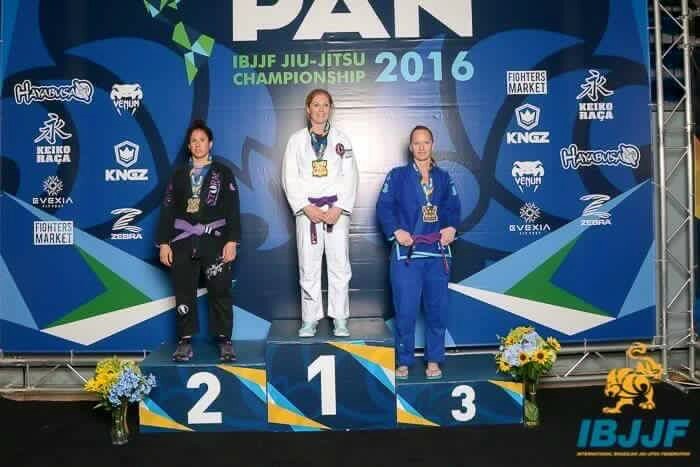 Impressive performance. 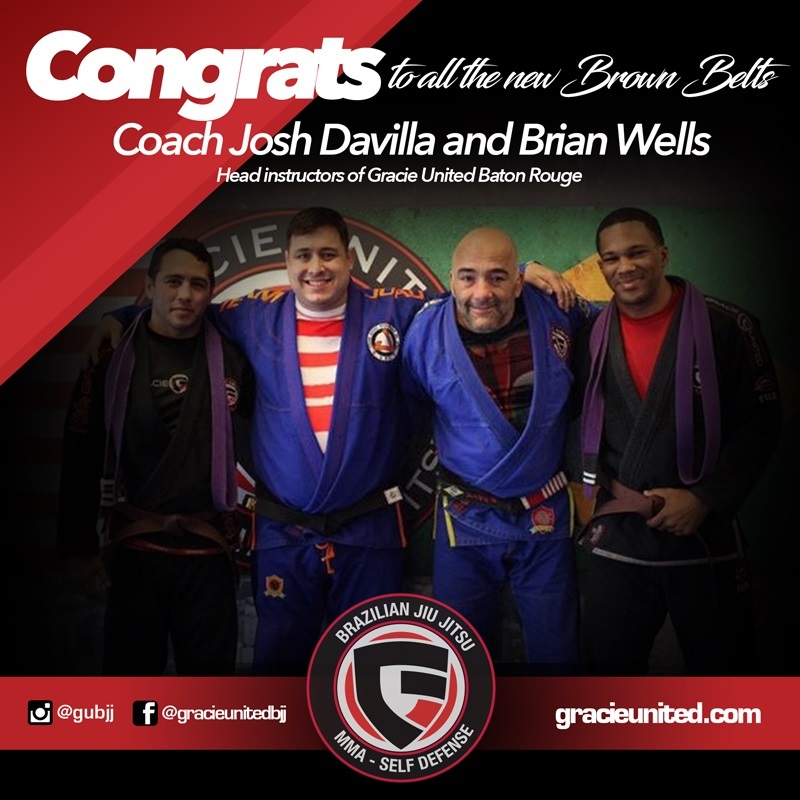 Congrats Joshua Davilla (the owner of Gracie United Baton Rouge) on the amazing victory. 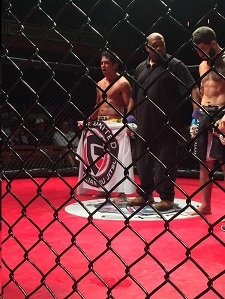 He KOed head kick on the 1st round up against a very skilled Brazilian Jiu Jitsu black belt!! 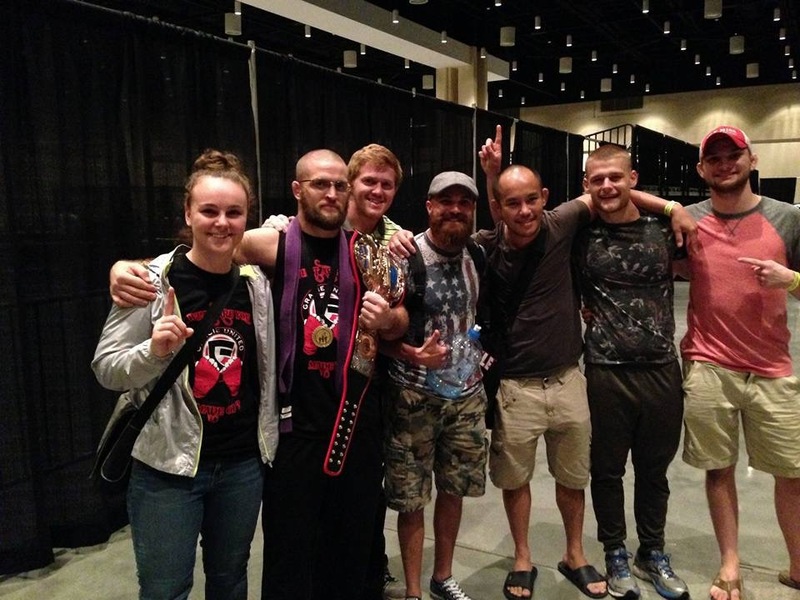 GU MMA came home undefeated! 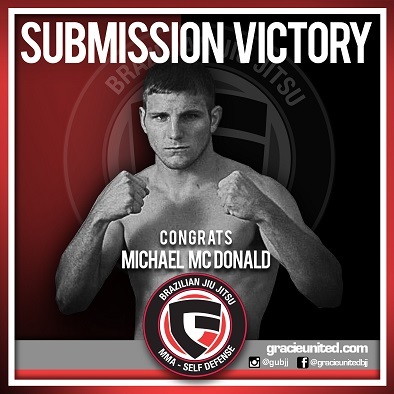 Congratulations to Michael Mcdonald and Jacob Small on the win. 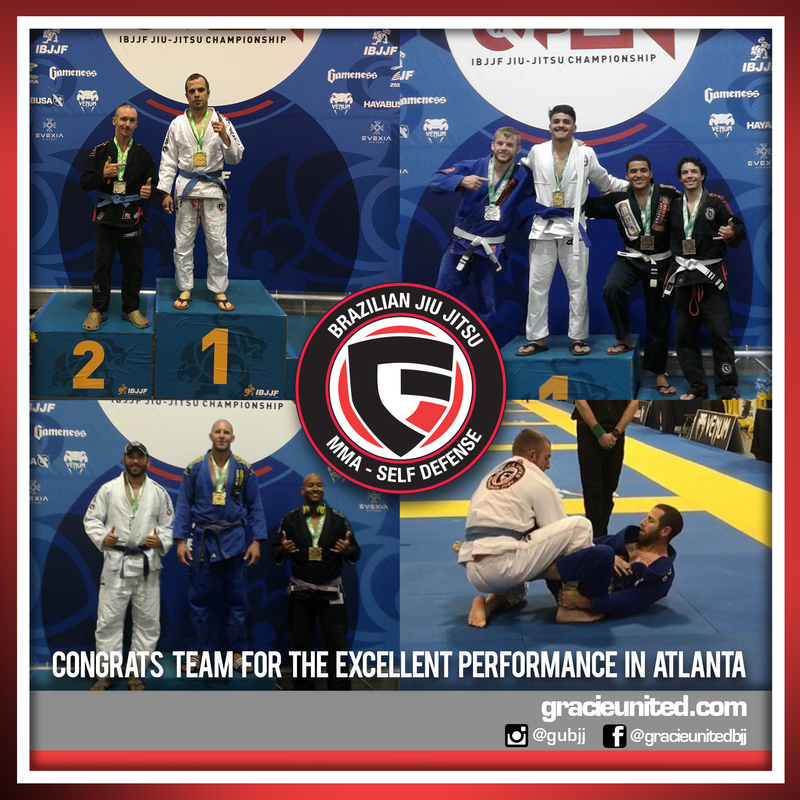 Our champions came home undefeated. 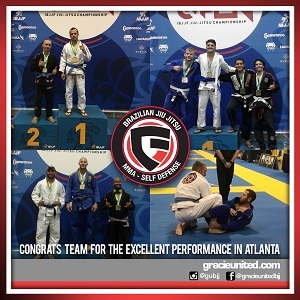 Proud of our team!!! 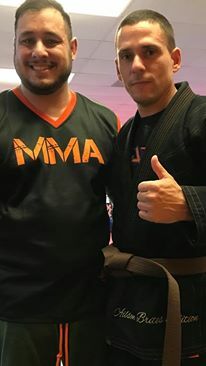 Back to training and fixing the mistakes and improve our game. 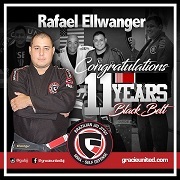 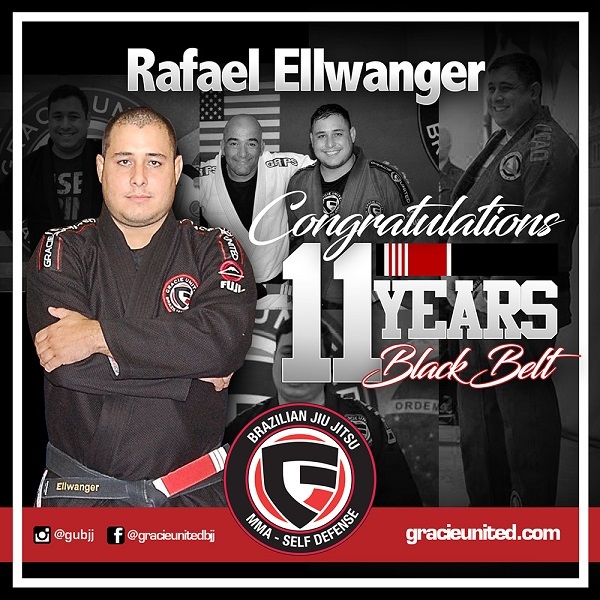 A lifelong martial artist, Rafael Ellwanger began experimenting with different disciplines at age 4 when his mother enrolled him in judo. 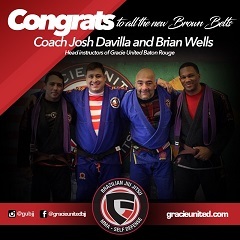 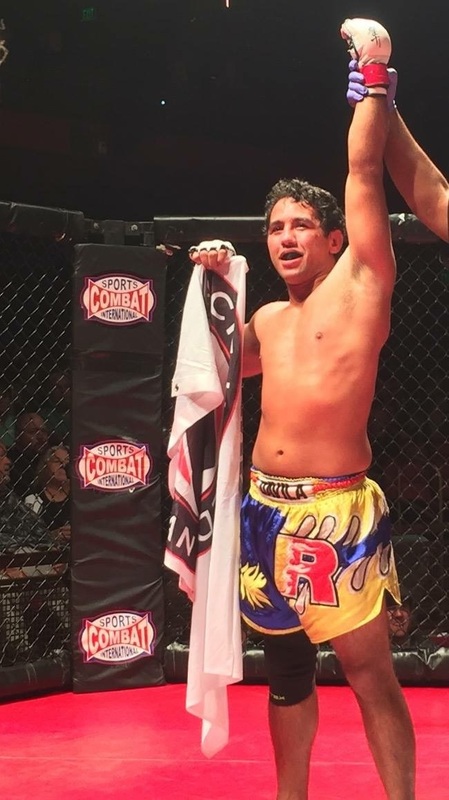 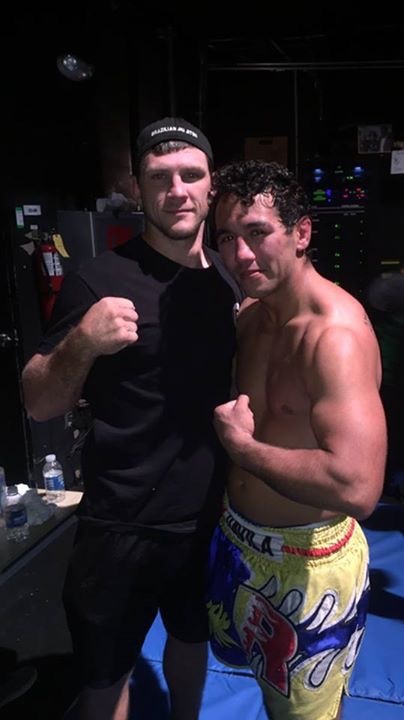 Gracie United congratulates Joshua Davilla on the unanimous decision victory in Baton Rouge. 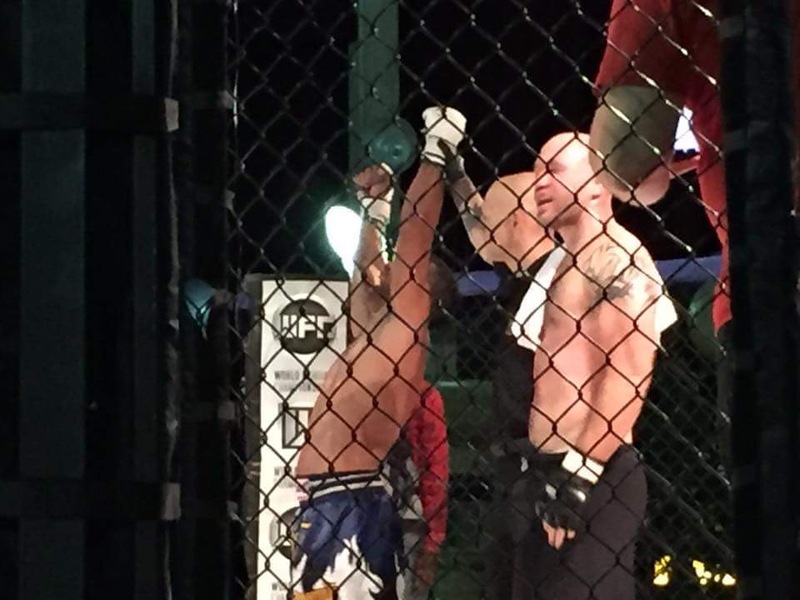 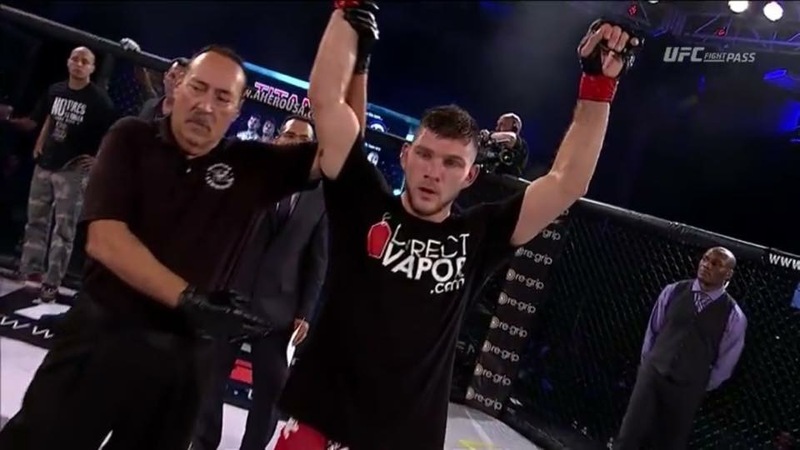 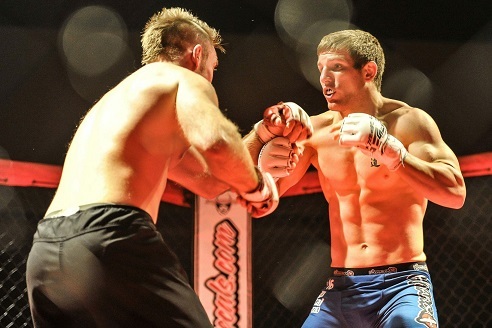 We are also pleased to announce the outstanding win by submission achieved by Robert Dunn on the first round. 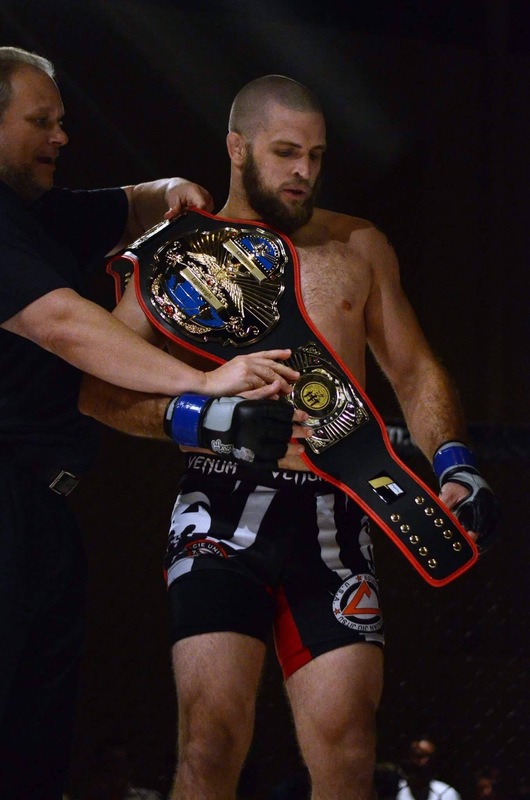 Congratulations to Dunn for holding the new FFI lightweight champion title. 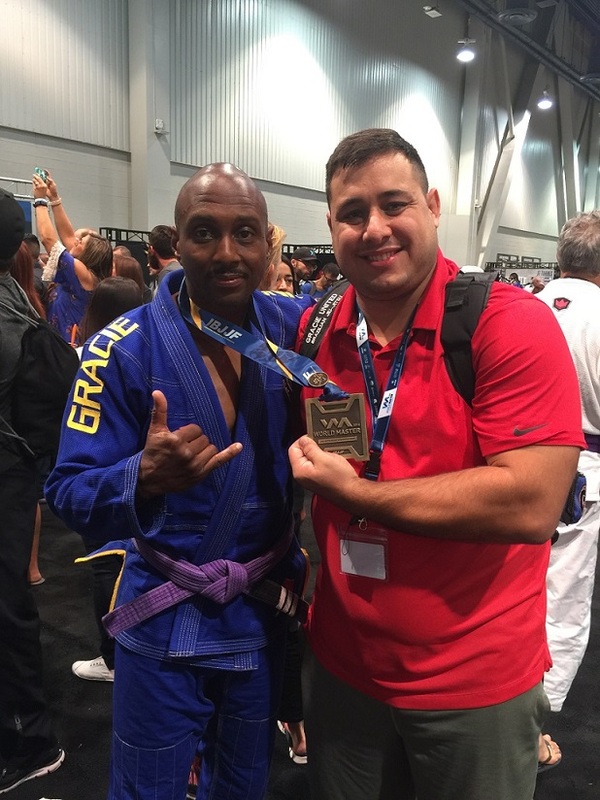 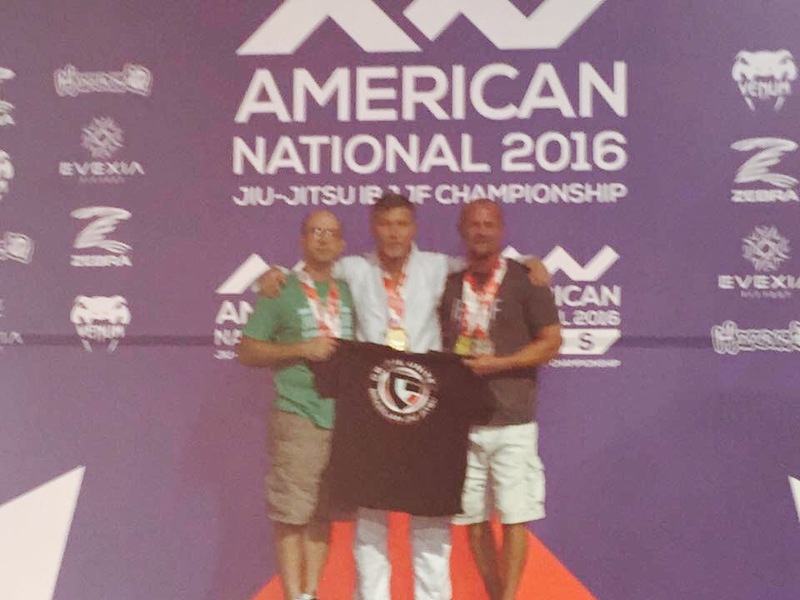 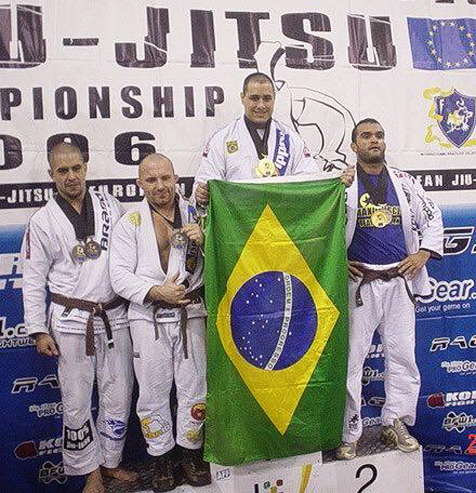 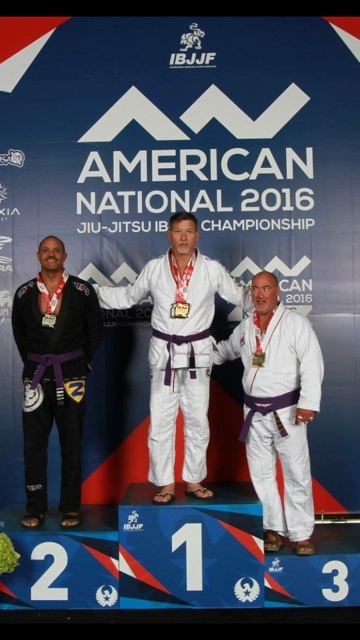 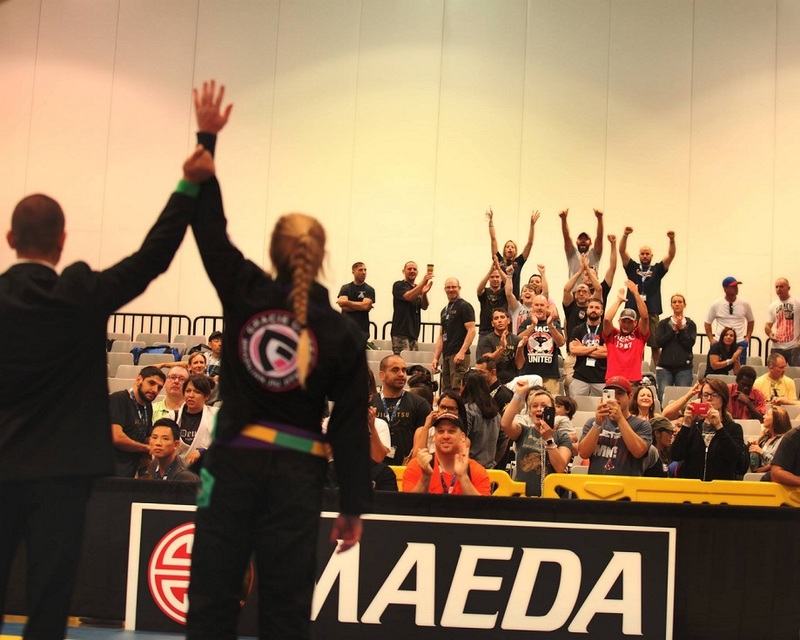 The American National Jiu-Jitsu IBJJF Championship was held in Las Vegas, NV on July 2016. 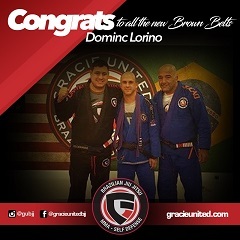 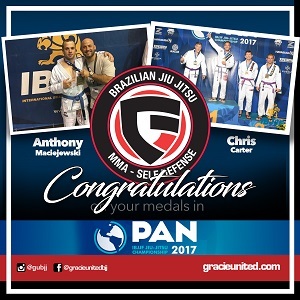 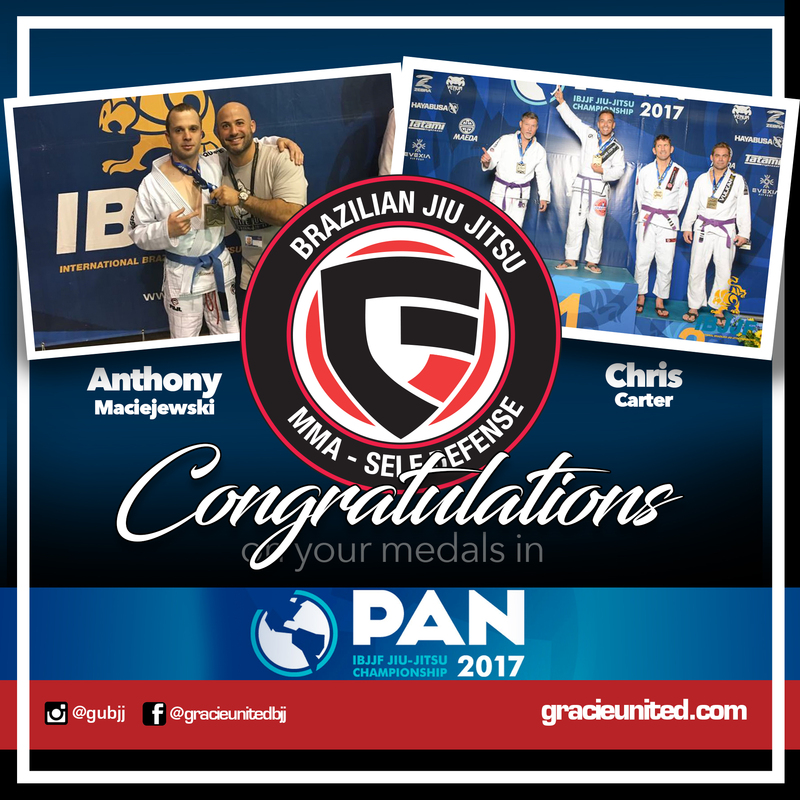 In the event, three participants: Dominic Lorino, Chris Carter, and Tim Roberts from Gracie United were ranked IBJJF National Champions. 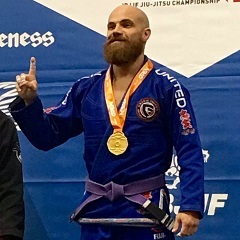 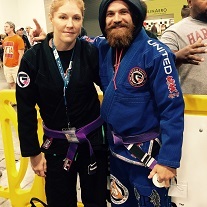 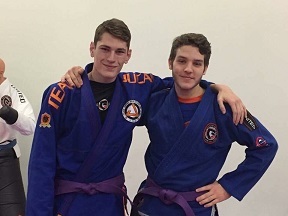 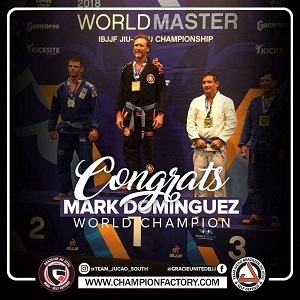 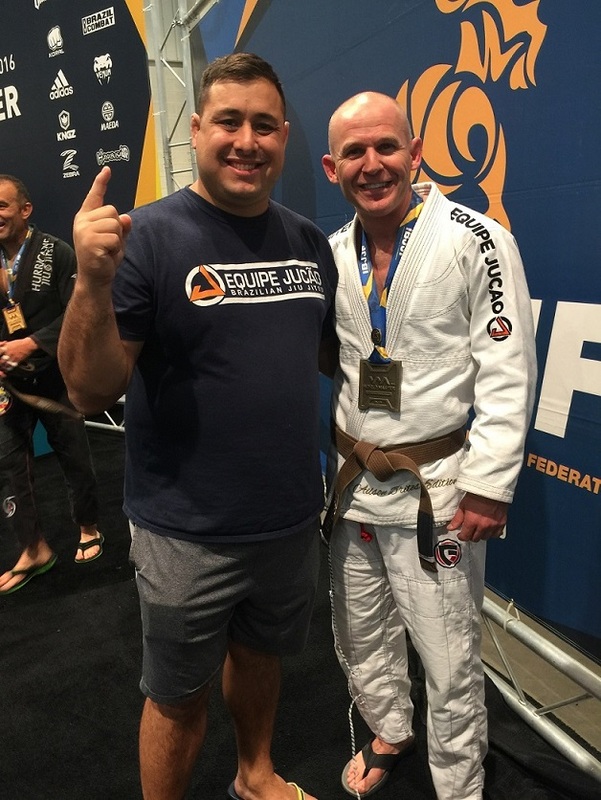 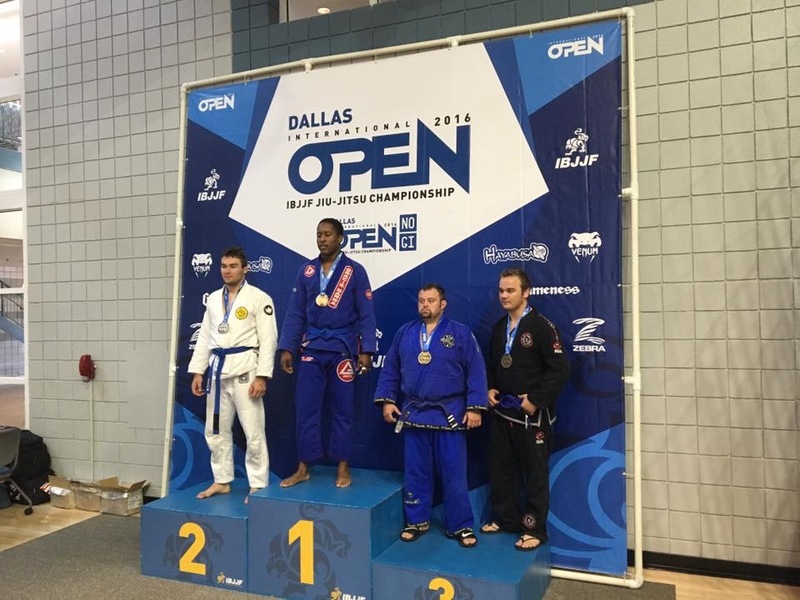 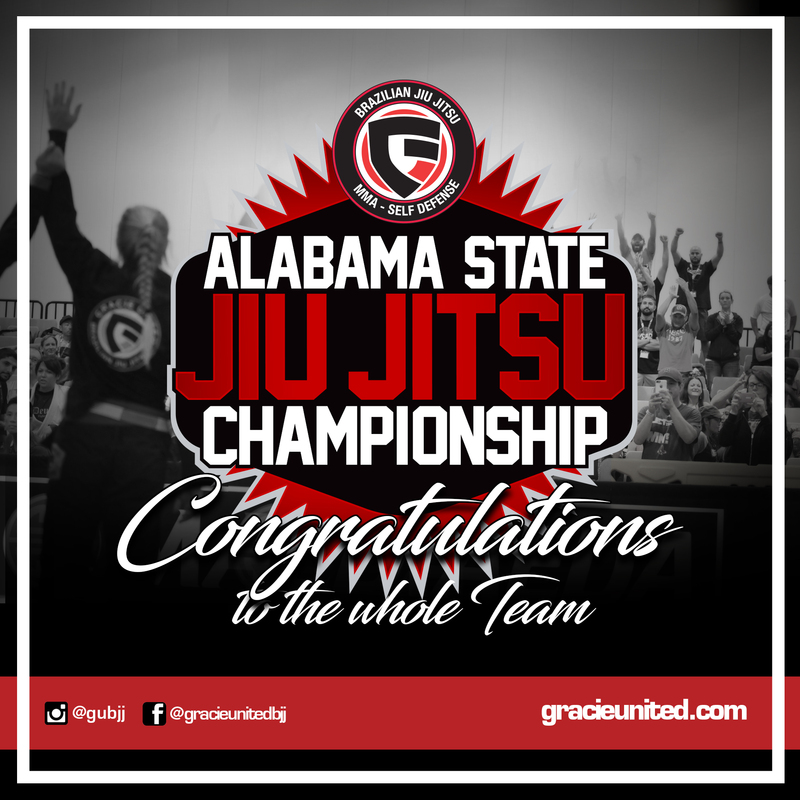 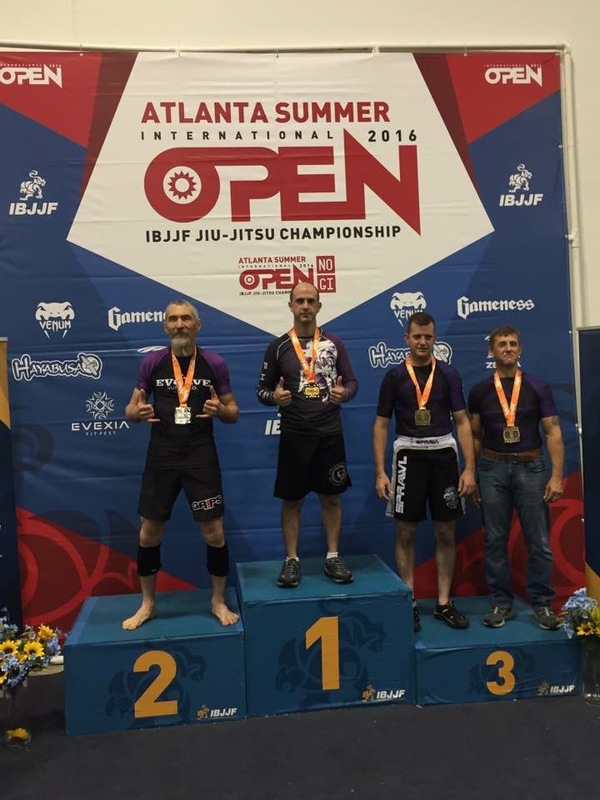 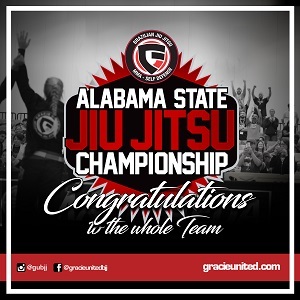 Congratulations to our IBJJF National Champions! Brea Ellwanger, 2016 Panamerican Champion! 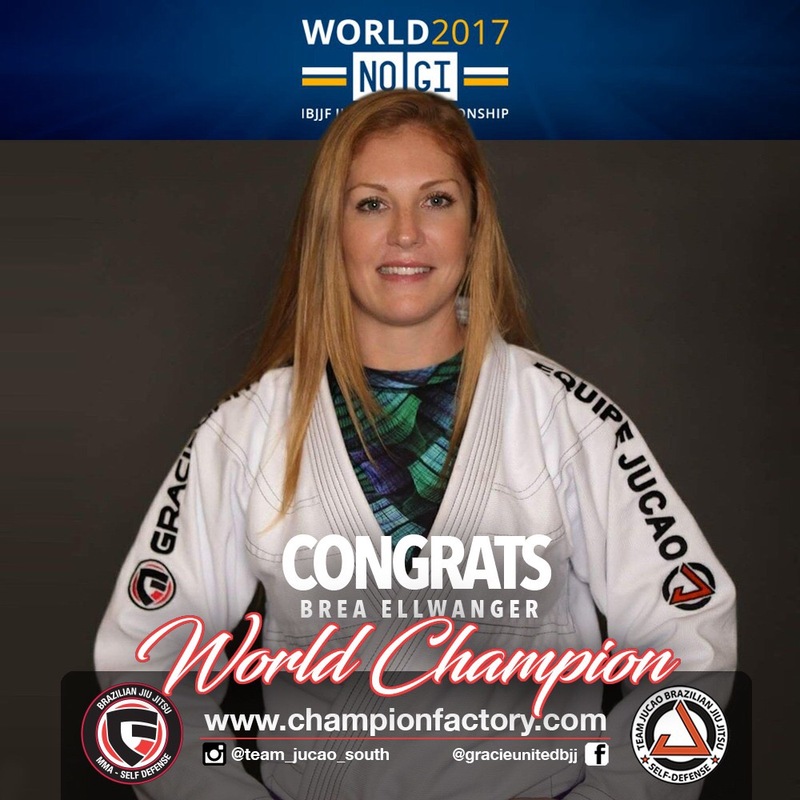 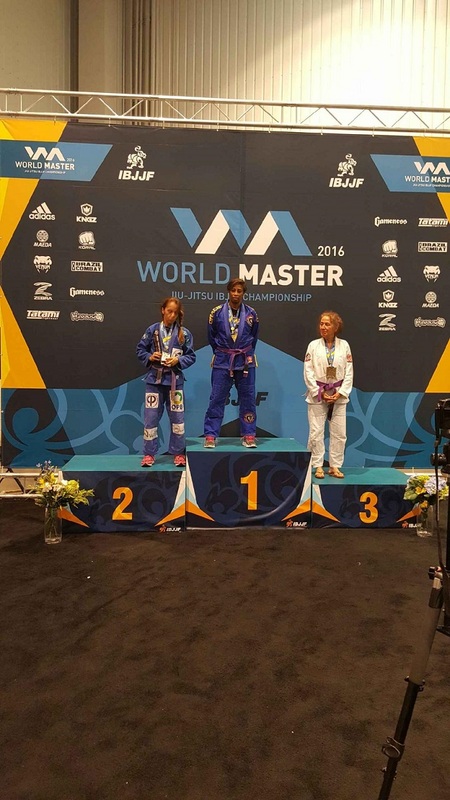 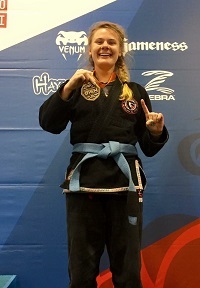 Brea Ellwanger is the first women in Louisiana to become a Pan-American Champion. 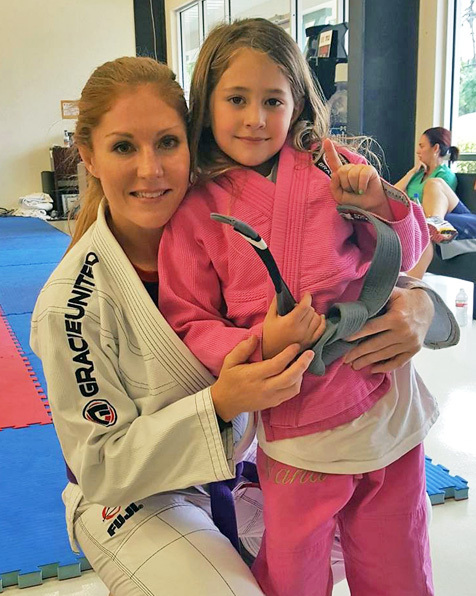 She is from Ponchatoula, LA and trains and teaches at Gracie United. 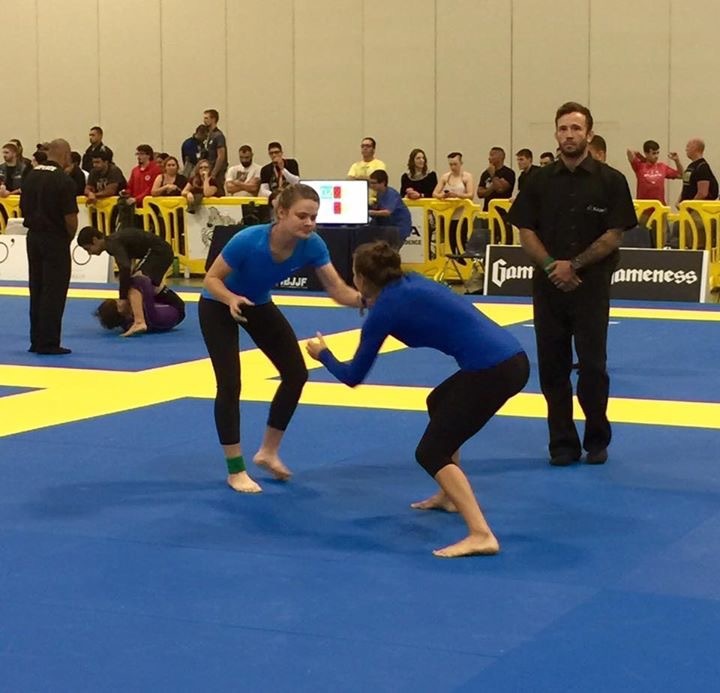 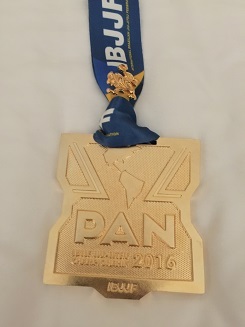 The Pan-American Championship is the second largest BJJ event in the world. 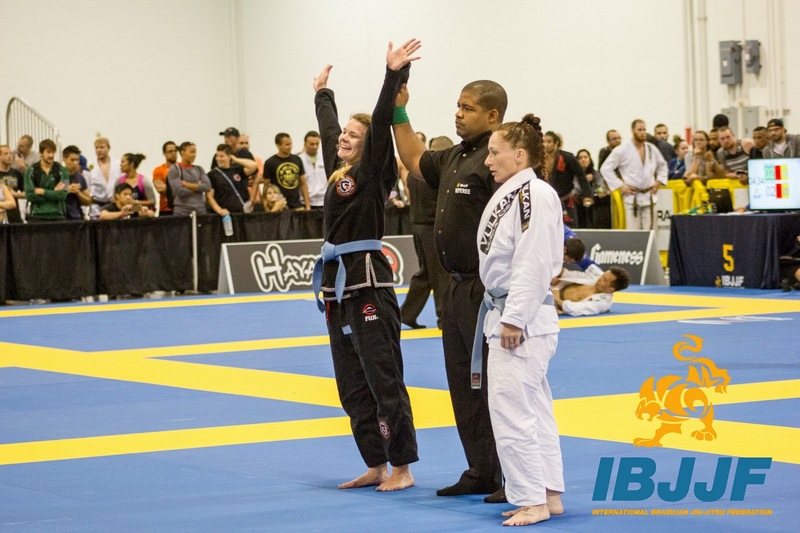 It was held in Irvine, California with over 4,000 competitors from all over the world. 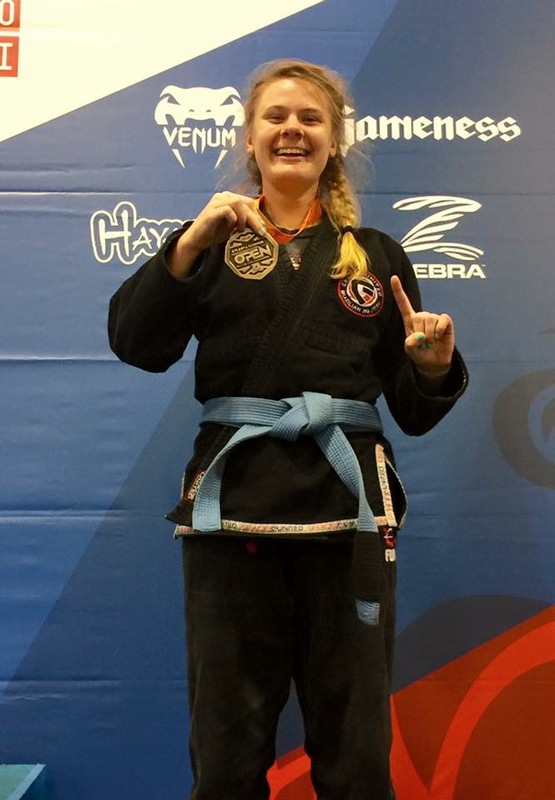 She is currently ranked #11 in the world.